For a charming and elegant dining atmosphere as well as a delicious Intercontinental menu come to the Raintree. 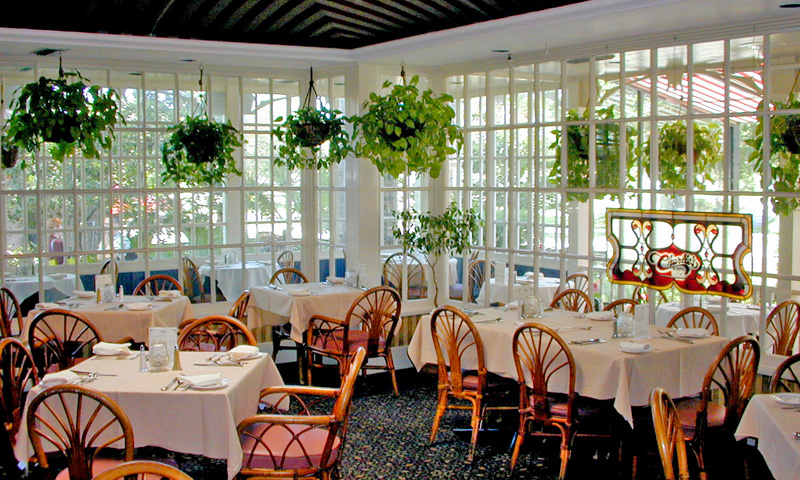 The Raintree Seafood and Steakhouse Restaurant is located in historic St. Augustine and is housed in a Victorian mansion dating back to 1879. This beautiful building combined with delicious, gourmet food makes Raintree a favorite of locals and visitors alike. Their menu is an excellent blend of Mediterranean, American and Asian cuisine. Items on the menu that remain favorites are the Beef Wellington, Filet Mignon and Canadian Lobster. The Raintree also has an extensive dessert bar, which is consistently reviewed as one the greatest. You may choose from indoor dining in their traditional Victorian dining room, complete with a fireplace, dine in the interior garden atrium, or enjoy your delicious meal at the outdoor courtyard featuring gazebos and a koi fountain. 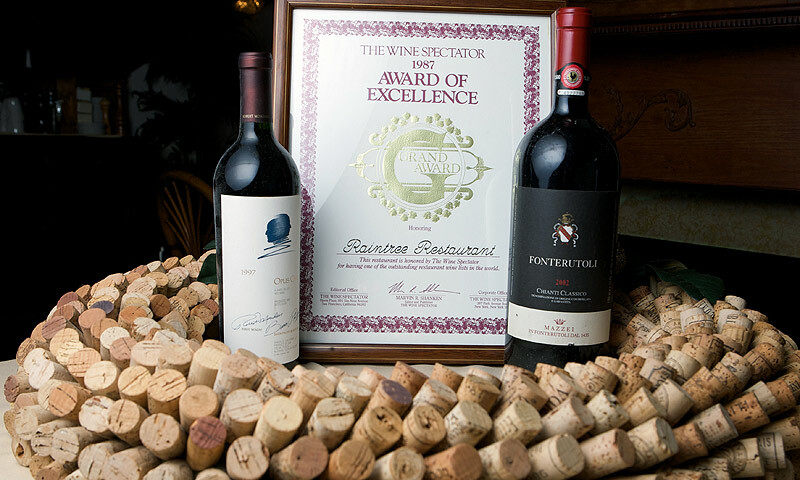 The knowledgeable staff at Raintree will also be happy to assist you in choosing the bottle of wine that best compliments your meal. Also offered at the Raintree are group menus, great for those wonderful dinner parties or company outings, just call the restaurant for more information. 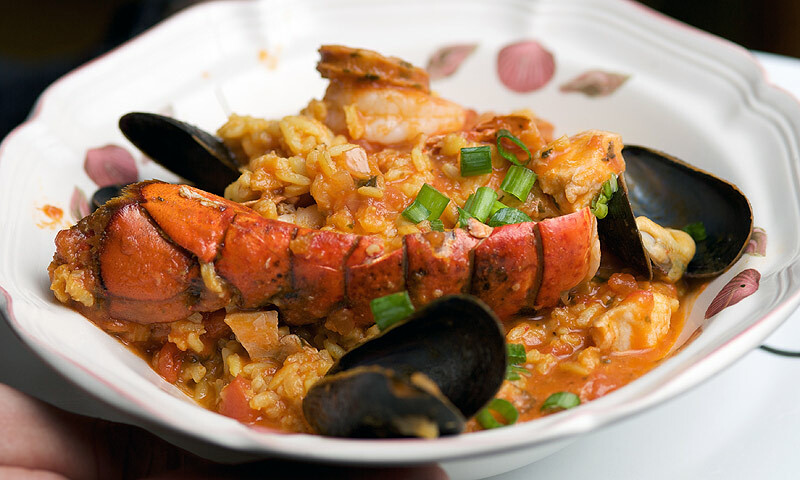 So, come to the Raintree Seafood and Steakhouse restaurant in historic St Augustine for a quality meal and excellent service and you will see what everyone is raving about! Also, enjoy live entertainment at the Raintree. This restaurant features excellent local musicians on Friday and Saturday evenings in the outdoor courtyard/patio. Beef Wellington Filet and truffle paté baked in puff pastry, served medium rare to medium. Brandy Peppersteak 6-oz or 9 oz. Escargots Broiled with a champagne garlic butter sauce and a mini French baguette. New Zealand Rack of Lamb Served on a port wine demi-glaze with mint jelly. Jumbo Shrimp and Lobster Pasta Tossed in a creamy champagne butter sauce over pasta. Crisp-Roast Half Duckling Served on a raspberry demi-glaze. Mixed Berry Crepe Flambéed in Chambord with vanilla ice cream. Warm Chocolate Dome Cake With vanilla ice cream and macadamia nut brittle. Creme Brûlée With a crunchy caramelized topping. we enjoyed it overall ! The Raintree's policy is indeed to recognize special occasions. We have many guests celebrating their birthdays, anniversaries etc. I do apologies for the oversight. I make a point of sharing reviews with my staff so they understand the importance of details. We look forward to welcoming you back for another Raintree Experience. I am glad you enjoyed your dinner. We went there last night and were very impressed with the atmosphere, the waiting staff, the food. Reading other comment absolutely dumbfounded me. Irish Kelly could not have been more professional and helpful. I had starter of Lobster Bisque and my husband had Bang Bang Calamari, both absolutely fantastic, then we both opted for Beef Wellington, I had a bottle of Sirah, and my husband had about 5 beers, total was $147. This was with the tip included, as far as I can see, well worth a visit. Seems some people just moan for the sake of it. Deny yourself an evening here at your loss. The restaurant is very pretty, but the lack of variety on the menu and the expensive entrees are what is waiting for you here. My husband and I both got the Mahi which had not only an awful Bernaise type sauce and it was blackened, main problem was the smell of the fish made it through all of that and it was simply bad fish. Waiter took it off and our bill was still over 100.00 with just 2 glasses of house wine, one shared appetizer and one of the mahi specials that my husband kept but was not happy with. No grilled or broiled fish, no shrimp, no alfredo, but alot of specials with crazy sauce mixtures. Steer clear unless you want to take pictures here! What a wonderful night our server Alexandrine was fabulous,helpful being our first time here,with two teenagers we had lots of questions our daughters had the filet and my husband and I had prime rib we started with stuffed mushrooms,as soon as i took a bite i knew we made the right choice the whole atmosphere is amazing you can't help but smile in this place.The grannysmith apple crepe was AMAZING.Kudos to the Chefs as I have been a Chef for 23 years and loved the combination of your food and sauces,they made our palate sing.I will tell everyone this was absolutely wonderful.Thank You to all the staff!! Make it a special night. We make it here at least once a winter with friends. We have never been disappointed. The food, service, and atmosphere are always great.